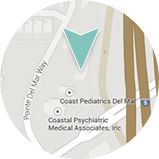 At Dermatology & Laser of Del Mar, our experienced and clinically trained esthetician, Heather Clarey, LE, is committed to quality and excellence. When you arrive for your initial consultation, she will develop a customized treatment plan tailored to your needs and goals. From deep cleaning, pore refining treatments to intense moisturizing therapies, anti-aging peels and cryotherapy massage we invite you to experience healthy skin…. for life. Seasonal Post Summer “Spruce Up”- This is popular for those patients whose skin needs a little extra TLC after a summer of sun and fun. Deep cleanse, extractions, and and manual exfoliation with Microdermabrasion. Treatment is completed with a deep hydrating mask and application of specialty serum and sunscreen. Purifying Facial (Acne Facial) – This treatment is designed to maintain the challenges of oily/acne prone skin or as a maintain treatment for all skin types. Treatment includes: deep cleanse, steam, exfoliation/polish, cautious manual extractions, soothing liquid nitrogen and a purifying mask. Back Acne Treatment (B’acne) – Apart from the face, the back is the most common area for acne breakouts. Back acne (or B’acne) can be painful as well as irritating and unsightly. This treatment includes gentle exfoliation, mild extractions, soothing liquid nitrogen, acne treatment lotion and a purifying mask. Age Defying Treatment (TNS Hydrating Facial) – Achieve a radiant glow with this signature moisture infusing facial. This deeply hydrating facial treatment addresses the needs of dry, sun damaged or dehydrated skin, restoring your skin’s natural moisture balance and suppleness by infusing hyaluronic acids, growth factors, proteins and antioxidants. Red Carpet Treatment- EXCLUSIVE by Dermatology & Laser of Del Mar! – This signature treatment starts with an eyebrow shaping and deep pore cleansing. A light exfoliation, gentle extractions and toner and mask will follow. Next a pampering neck and shoulder massage is performed to relax and release stress. Last an illuminize peel will be applied to refresh and tighten the skin. This treatment is perfect before a special event and will leave your skin with a bright, clear, healthy glow. 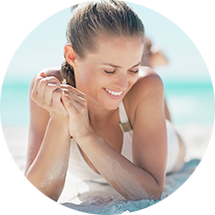 Dermal Infusion (SilkPeel® )– An innovative skin-enhancing experience, SilkPeel® combines state-of-the-art technology, stimulating massage, and professional skin care products into one rejuvenating procedure. 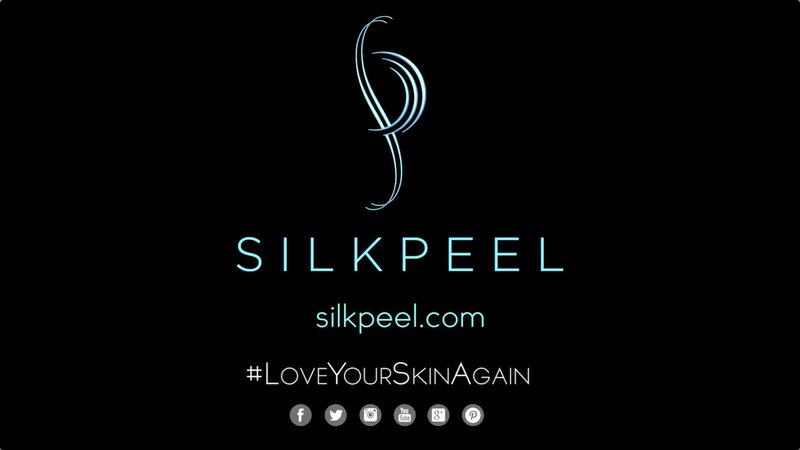 SilkPeel® can address uneven skin tone and texture, acne and acne scars, stretch marks, sun damage, fine lines and wrinkles, and other common concerns on the face and body. The diamond-tipped wand gently exfoliates the skin while the personalized blend of serums penetrates deep into your epidermis, clearing away dirt, bacteria, and dead skin cells. Designed for virtually all skin types, most patients see instantly firmer and more radiant skin. More dramatic improvement in skin quality can be achieved over the course of several treatments. SilkPeel® is a favorite with the Stars but surprisingly affordable! Watch what celebrities have to say about this great option. Fruit Enzyme Brightening Treatment – This decadent treatment uses powerful AHA fruit enzymes that act to rid the skin of dull, dry cells. The Fruit Enzyme Treatment has been shown to promote smoother, younger skin with a radiant glow. This 45 minute treatment includes pressure point massage. You may choose from Powerful Pumpkin, Delicious Cherry, Mango Smoothie and more depending on the season. Microdermabrasion – Specially designed to soften and smooth skin, our Microdermabrasion treatment gently jets ultra-fine crystals across the skin’s surface for the ultimate exfoliation. Microdermabrasion stimulates the production of rejuvenating collagen by gently removing the upper layer of skin to reveal healthy younger-looking, revitalized skin. Microdermabrasion includes a deep cleanse and a calming mask. Microneedling with Eclipse MicroPen™ Elite – Achieve more vibrant, youthful looking skin with Microneedling. This treatment is designed to gradually improve skin tone and texture to the face, neck and body with minimal downtime. Microneedling is ideal for treating and improving fine lines, creepy skin texture, stretch marks, pigmentation and acne scars. Microneedling creates fine micro-channels in the skin that enhances absorption of your anti-aging skin care and pigment lightening products providing for maximum benefits. Glycolic Peel – Natural fruit acids are formulated to help unclog pores, lighten hyper pigmentation and soften fine lines. Glycolic peels can also help prevent the progression of the more inflamed stages of acne. SkinMedica Illuminize Peel – The “I want my skin to look great NOW” peel, SkinMedica’s Illuminize Peel uses a special blend of gentle fruit acid to enhances your skin’s appearance without downtime or irritation. The Illuminize Peel is a popular treatment for achieving a healthy, youthful glow before that special event. SkinMedica Vitalize Peel – The Vitalize Peel is perfect for patients with mild to moderate skin imperfections. It can be instrumental in fighting the effects of time, sun damage and environmental assaults. The Vitalize Peel is perfect for fading brown pigment, softening the skin and reducing the appearance of acne. It produces predictable and noticeable results with minimal downtime (usually 3-4 days of mild flaking and peeling). SkinMedica Rejuvenize Peel – This safe and effective peel is ideal for acne, hyper pigmentation and intrinsic aging changes. The Rejuvenate Peel is 70% stronger than the Vitalize Peel for noticeable results after one treatment.